Case Buffalo Horn Half Wittler | BUDK.com - Knives & Swords At The Lowest Prices! 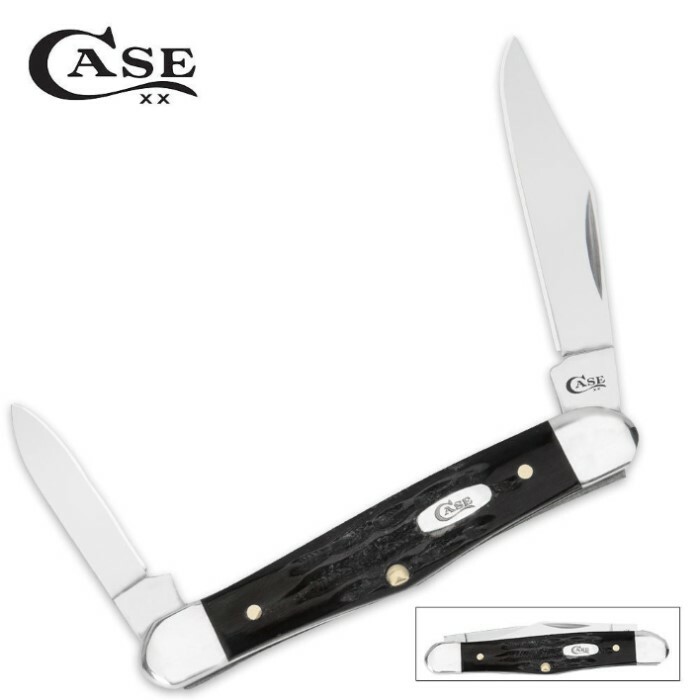 You can never go wrong with a classic Case folding pocket knife! Proudly made in the U.S.A., this genuine Buffalo Horn Half Whittler folding pocket knife features TruSharp stainless steel blades, polished genuine buffalo handle scales, and gleaming brass pins and liners with nickel silver bolsters.